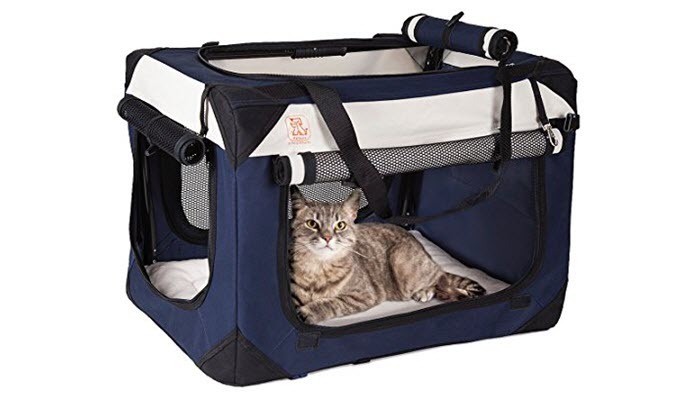 So you want to transport your cat from one place to another but you still haven’t found the best cat carrier. Not to worry because we’ve made a list of our top choices that have the best quality and value for your money. 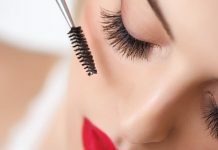 This list is as varied as possible and we made sure to show you the different types and options available for you. Traveling with pets can be stressful especially if it’s their first time to go out of the house for a long time. If you’re not used to it, both you and your cat will be stressed. Whether you’re just traveling by car or going on a plane, these tips when traveling with your cat will help you. The Petmate Two Door Top Load Kennel is our best pick. This is made of steel and plastic construction so it’s durable and safe for your cat. There are two doors wherein your cat can enter. The top door will allow you to place him carefully inside if your cat is not trained to get inside the kennel by himself. 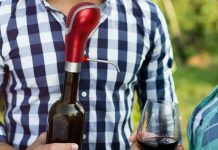 It features an ergonomic carry handle so you can easily bring your pet around with you. This is suitable for most domestic air travel. 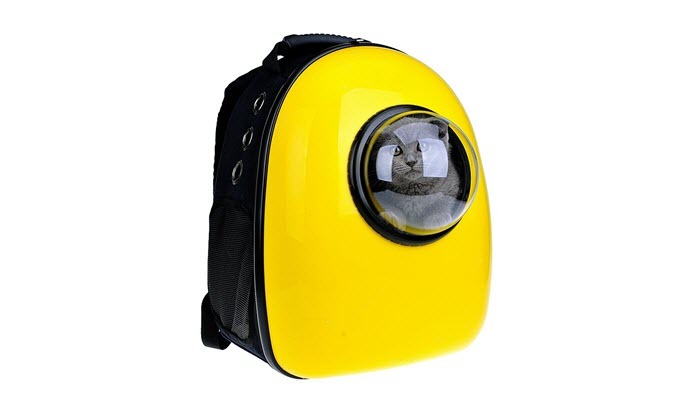 It has good ventilation so your cat would have enough air to breathe and you can also easily see him inside. 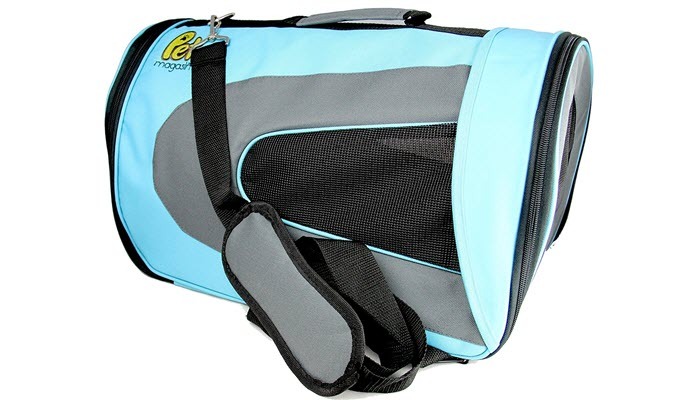 Mr. Peanut’s Airline Approved Soft Sided Pet Carrier is our next best choice. This one is a soft cat carrier made of 2 tone fabric which is easily washable. The inside includes a fleece lining so your kitty can sit comfortably while traveling. This carrier is sturdy but is very lightweight. It has a breathable mesh so your cat has proper ventilation inside. A nice extra feature is that it has a padded shoulder strap so you can choose to wear the carrier on your shoulder instead of holding it in your hand which can get tiring. The Pet Magasin Soft Sided Pet Travel Portable Bag is also a great option. 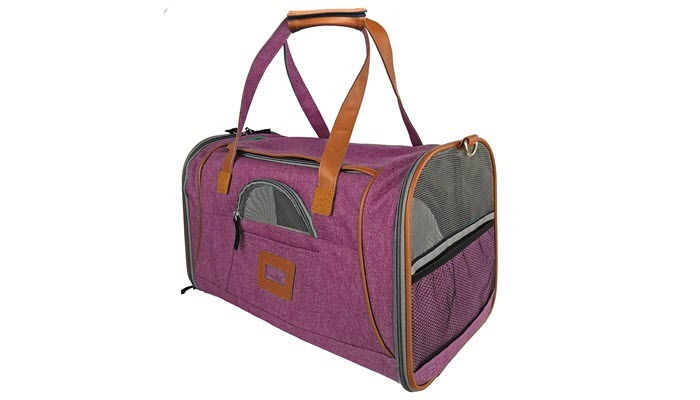 This pet carrier is soft sided and is airline approved. So if you’re planning to fly with your pets, this is a great choice. 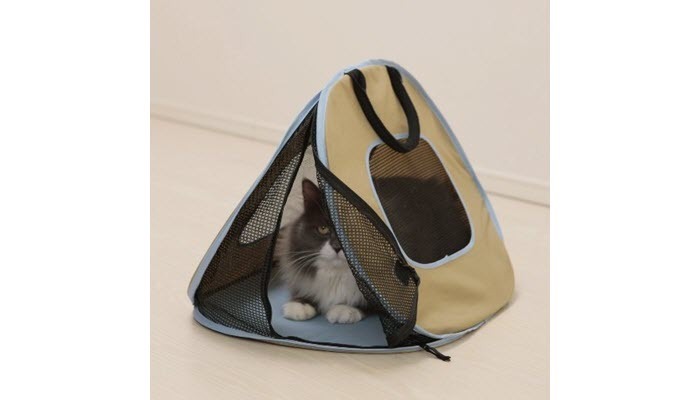 It has soft and comfortable padding with a firm base so your pet will be stable inside. The material is waterproof so you won’t have to worry about the rain in case you’re caught walking outside with your cat when it suddenly pours. The short leash attached to the inside of the case allows you to clip your cat’s collar in case they would want to run out once you open the carrier. Another alternative is the Pet Magasin Collapsible Pet Carrier with Hard Cover. The unique thing about this model is that it gives you the benefits of both a soft and hard carrier. It has a hard top and a hard base so it’s stable while the sides have soft padding. You can fold down the sides so you can easily store it when not in use. It has a comfortable pad on the bottom so your pet can relax comfortably inside. This is a really nice looking carrier although a disadvantage is that it doesn’t have a shoulder strap. So you would have to carry it in your hand. 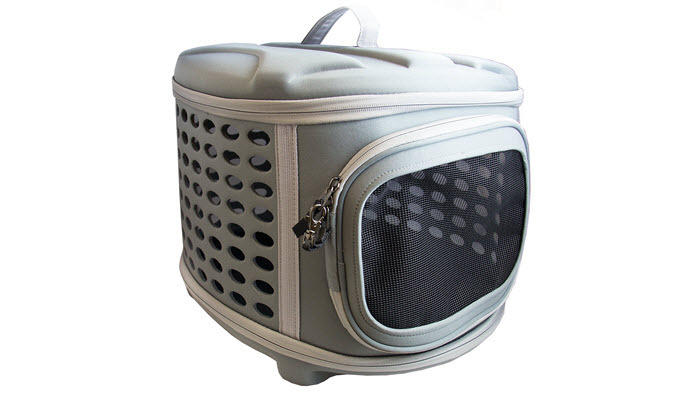 The U-pet Bubble Pet Carrier is also a nice product to consider. This one is a backpack style carrier but also has a handle if you want to bring it in your hand. One thing that’s really cool about this model is that it has a semi-sphere window where your pet can peek into and you can easily see how he’s doing inside. You can switch the window into a mesh in case your pet doesn’t like it. This has also been approved by most major airlines. 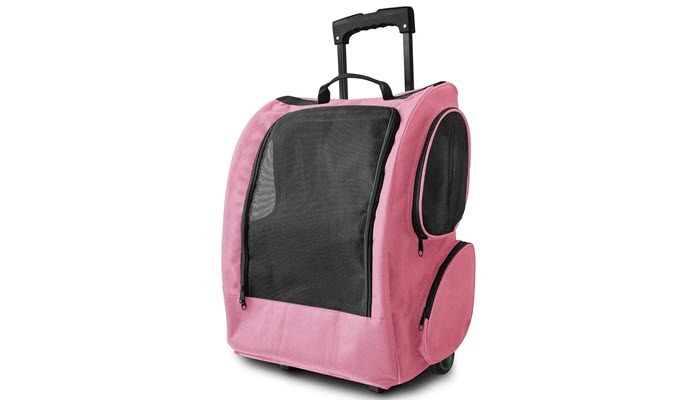 You should also consider the OxGord Pet Carrier Rolling Backpack. It’s a suitcase type carrier with telescoping handle so you don’t have to carry it around. The carrier is made from 600D polyester so it’s highly durable. It features a mesh front door and side panels so your pet can easily see outside. The affordable but good quality alternative is the Necoichi Portable Ultra Light Cat Carrier. It is made of sturdy fabric that is durable and easy to clean. It is lightweight so it’s easy to carry and has a foldable design for easy storage. The sides have a mesh panel so your cat has good ventilation. This carrier also doesn’t come with a shoulder strap. Choosing a cat carrier all depends on the size of your cat, their breed, and their personality. If you have a small kitty, it’s best to choose a carrier that grows with them so you don’t have to buy another one when they’re bigger. 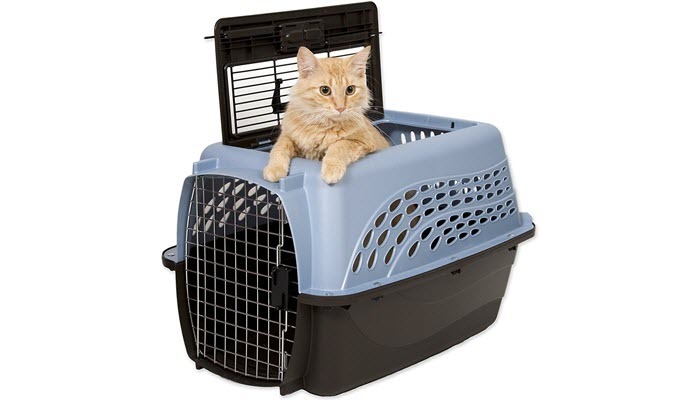 The ideal carrier would allow your cat to sit, stand, and at least turnaround. You don’t want them to be overly cramped inside or they would be very uncomfortable and unhappy. Traveling with an upset cat can be a real pain. The recommended size is at least one and a half bigger than the size of your cat. For longer travels, the cat carrier should also be able to carry their food bowls and water bottle. There are different types and styles of the cat carrier and some are more suitable for a certain type of cat than others. Soft carriers are lighter and less bulky. But this is not ideal for cats who like to move around a lot. It may be very difficult to carry and they could damage the fabric. 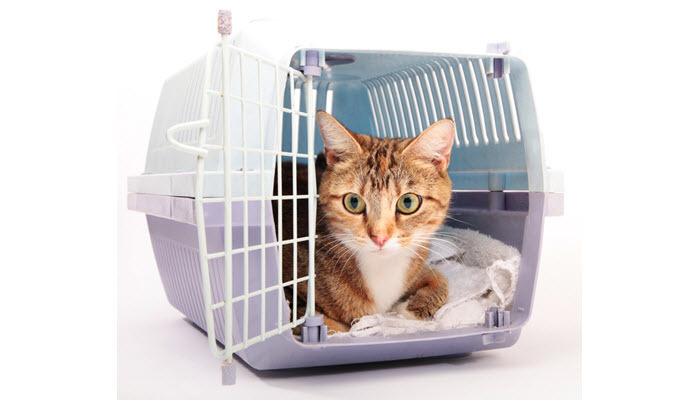 If your cat gets sick a lot, this is also not the best because you would have to clean and wash the carrier a lot. Hard carriers are more appropriate for bigger cats because they offer more room. But take note that if your cat is not trained to go inside carrier doors, make sure to choose one that has a top opening so you can place them inside yourself. There is also the backpack style carrier which is a lot more comfortable but you would not be able to keep a close eye on your cat. And then there’s the rolling suitcase carrier which allows you to easily pull it behind you so you don’t have to carry the burden in your hand. It’s also good if the carrier has an included shoulder strap because it can get tiring if you’re holding it in your hand all the time. Most of all, make sure that the carrier has good ventilation so that your cat can breathe properly and doesn’t suffocate inside. On the other hand, check our take on the best cat collar.